Classic actor Chunky Pandey and Bhavana Pandey's gorgeous daughter Ananya is all set to enthral the audiences with her maiden venture 'Student Of The Year 2'. The film is backed by Karan Johar's Dharma Productions and also marks the debut of another actress named Tara Sutaria. Both the leading ladies will be seen opposite Tiger Shroff in the movie. It is helmed by Punit Malhotra and will hit the screens on May 10, 2019. Now, all eyes are set on Ananya's dream debut as fans are eager to watch her act on the silver screens. 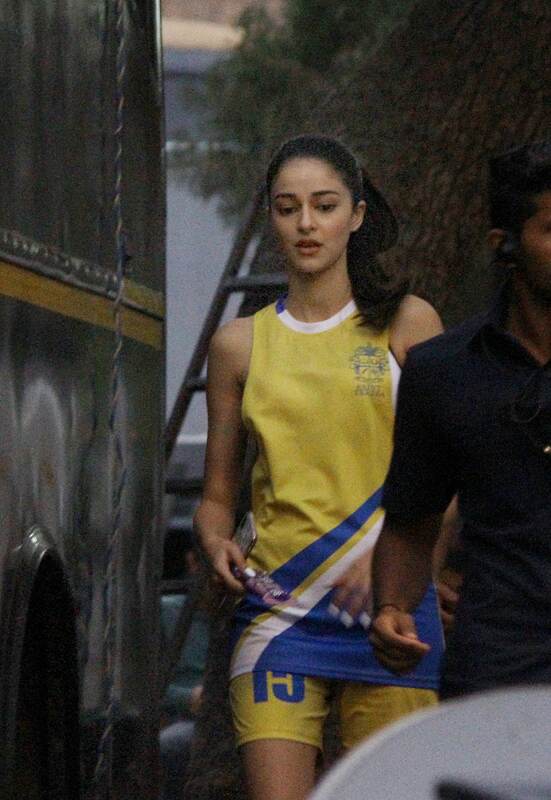 Is this how Ananya will look in 'SOTY 2'? The paps managed to click Ananya on-location shoot. Now, we really wonder whether this is one of her looks in the debut film 'Student Of The Year 2'? Well, she looks as fresh as dew in these photos. Fans are eager to watch Chunky and Bhavana Pandey's daughter on the silver screens.